Having had the use of the SIGMA 14-24mm F2.8 DG HSM | Art for around the past 10 months, I thought it was high time I share my experience with this lens. OK, yes I am a SIGMA Ambassador, that much is evident, so you may think me a little biased? I can assure you that as a full time professional photographer it’s absolutely essential that the kit is up to the job, there’s no room for second rate equipment. Normally I would do a specific trip as a write up, this time however I thought it necessary to show the versatility of this lens when used for a number of varying applications. I’m primarily a landscape and fine-art photographer, though I dabble in many other genres and don’t really like to be pigeon-holed, I’m just a ‘photographer’. Firstly a little about the lens, I don’t do reviews as such and don’t like to get too technical, this is more a user experience. 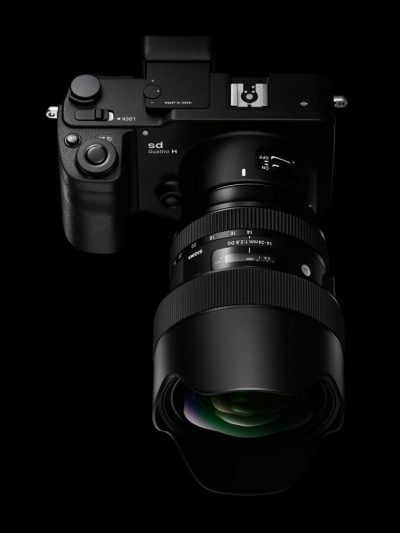 The SIGMA 14-24mm | Art is the widest of SIGMA’s ‘Big 3’, a range of F2.8 aperture lenses aiming to fulfill the needs of serious professionals and enthusiasts alike. The next two lenses in the range being the SIGMA 24-70mm F2.8 DG OS HSM | Art and the SIGMA 70-200mm F2.8 DG OS HSM | Sports. 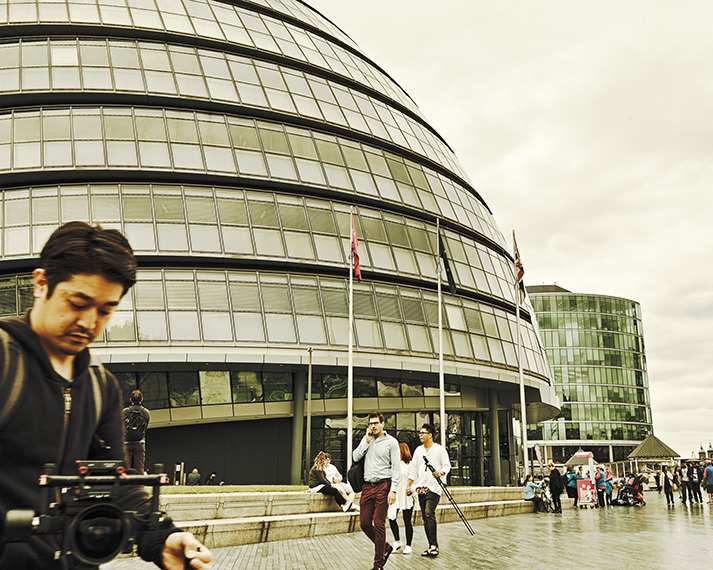 The SIGMA 14-24mm | Art is designed to be used with full frame cameras and up to 50-mega-pixel plus systems. However I’m using it with my SIGMA sd Quattro H which has a sensor size that sits in between APS-C and full frame, making the focal range for that particular camera come out at 18-31mm, this suits me perfectly as I don’t generally shoot any wider than 16mm, though many landscape and indeed architectural photographers do. I must point out also that my preferred method of working is usually fixed length prime lenses, generally trading off that versatility for the quality that prime lenses can give. 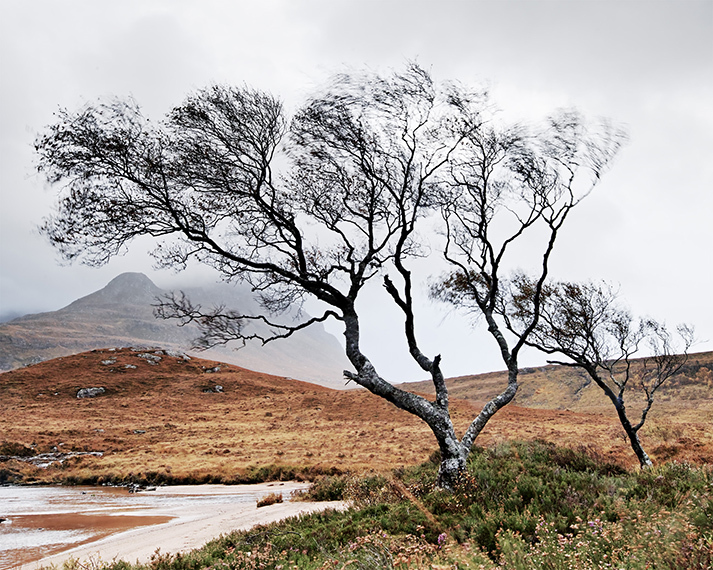 Let’s start this journey way up in Assynt, North West Highlands, a regular destination for me and in my opinion, possibly the wildest most varied and beautiful landscape that the UK has to offer. It was a wild and rainy day and an hour’s hike to this spot at the back of the famous mountain, Stac Pollaidh. I’ve visited this spot many times and there’s always a new angle on these beautiful birches; here, as you can see from the movement in the trees it was very windy and also raining. Luckily the SIGMA 14-24mm | Art comes with a full set of weather seals and it’s been performing excellently in harsh conditions, including a recent winter trip to the same location. 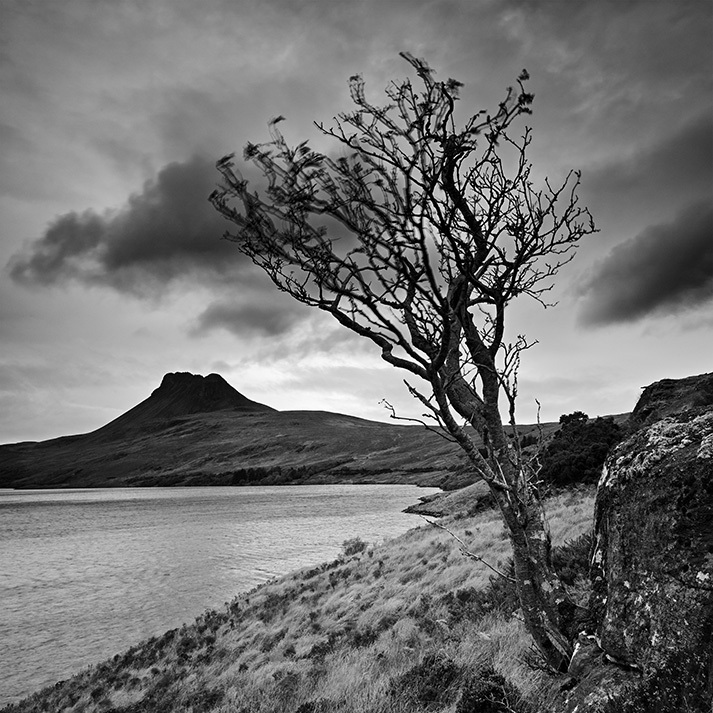 This image sees us viewing the previously mentioned mountain Stac Pollaidh, framed by another tree in the wind! I had to get very low down and close to the foreground rock and shoot as wide as possible to get this composition, what’s impressive here is that there is almost zero distortion in the corners, which historically can be a concern with wide-zooms such as this. I was beginning to be converted! 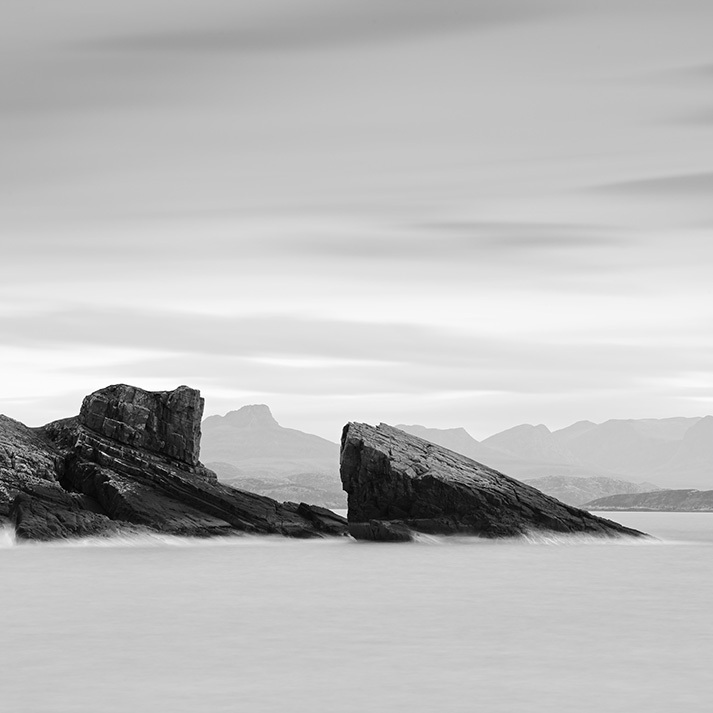 Still in the Assynt region for the next couple of shots, as well as great mountain scenery the region offers amazing seascapes. I love coastal photography, it’s always challenging, at times even frustrating when you have to keep cleaning your lens and filters in between being battered by the waves. The best images are hard won in my opinion and the waves were certainly crashing up for these images, not that you’d know as I’ve used a long exposure for my signature zen-like feel. 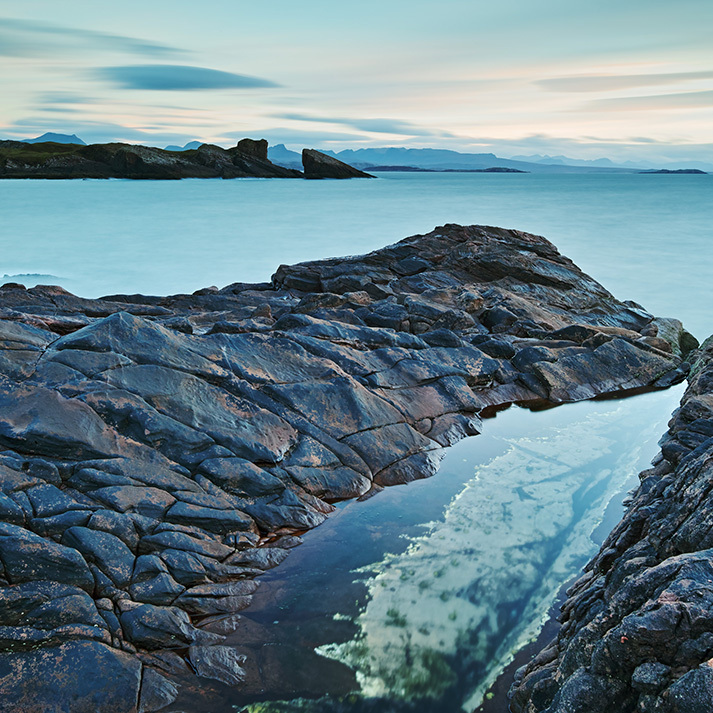 Using a long exposure in this way removes the texture from the sea, allowing the eye to wander around the various shapes and forms in the landscape. 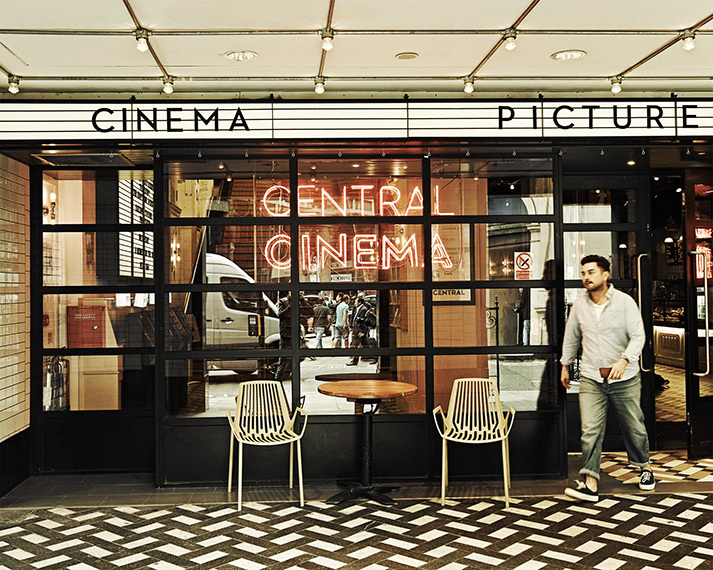 This is a technique that I’ve come to refer to as a visual mantra, composition is so important to the impact of an image. In some situations a fixed prime might be a problem here if you’re particularly fussy about your compositions, as I am. So the versatility of the zoom enabled me to get my compositions just right without being washed away by the sea! If you’re a landscape photographer, chances are that filters are part of your arsenal. This lens comes with a fixed hood. I use LEE filters and you can see their solution for using the 150mm system below. 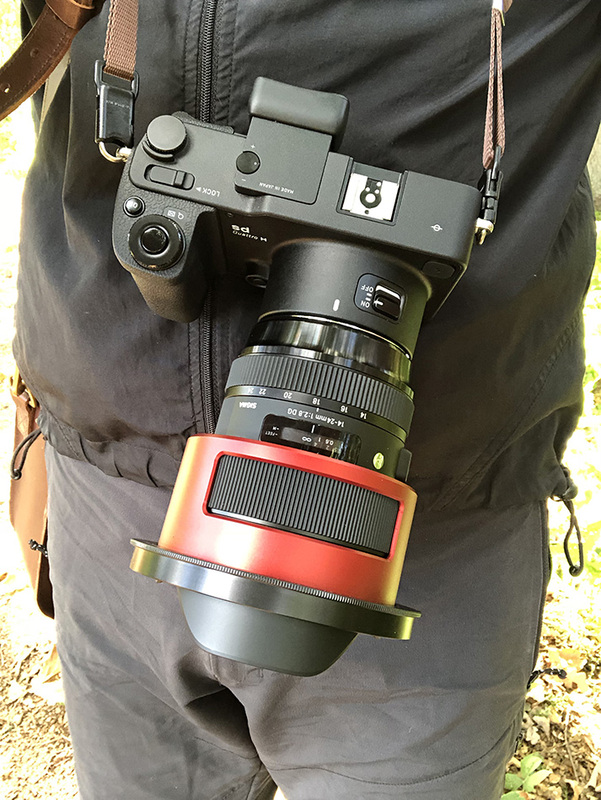 I guess you’ll either love or hate that big red collar but personally I think it looks rather funky, more importantly it works really well and doesn’t hinder use of the lens in any way. I believe other brands of filter also have similar solutions to the LEE system. Back to my travels and we’ve moved further south down to Northumbria. 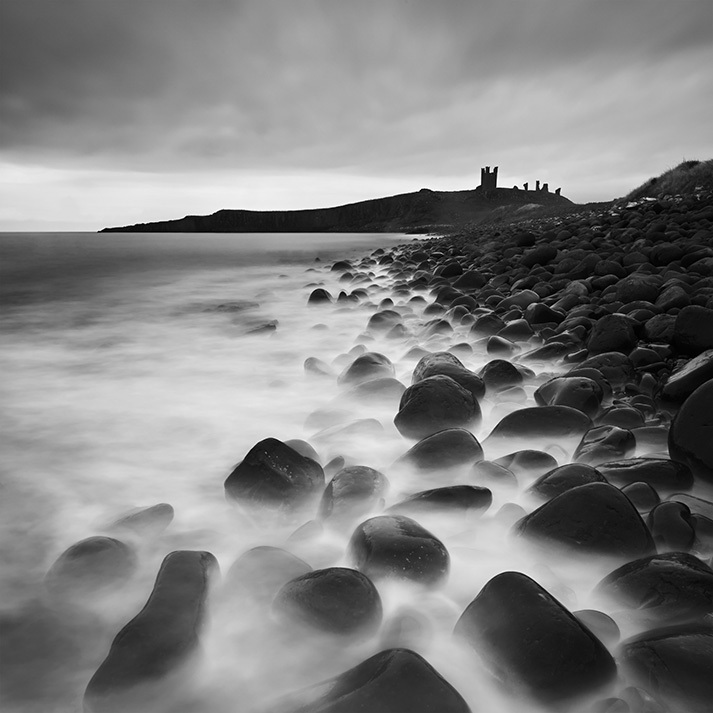 This popular vantage point on Dunstanburgh Castle is well known to landscape photographers, and anyone that’s attempted this composition will know that those rocks are incredibly slippery, camera insurance essential! As I said previously the most rewarding shots are those that require a little effort and I was happy with the result, again the ability to zoom and compose really helpful for the final image. Contrast and sharpness really impressing. So have I been converted to a wide aperture zoom lens? I will always be stubborn and prefer a fixed prime as I personally like to keep things minimal, that’s just my photographic style. However, throughout its focal range this lens is seriously impressive. It’s like having a bag full of prime lenses! Such is the quality of sharpness and contrast, it also has incredibly low distortion for a lens of this class and chromatic aberrations are virtually none existent. If you believe the tests and reviews it out performs competing lenses of the well known big brands. I like to go by what my eyes are telling however, I’ve said it previously that I’ve used lenses costing three times more than the equivalent SIGMA versions and the Art range never disappoints. 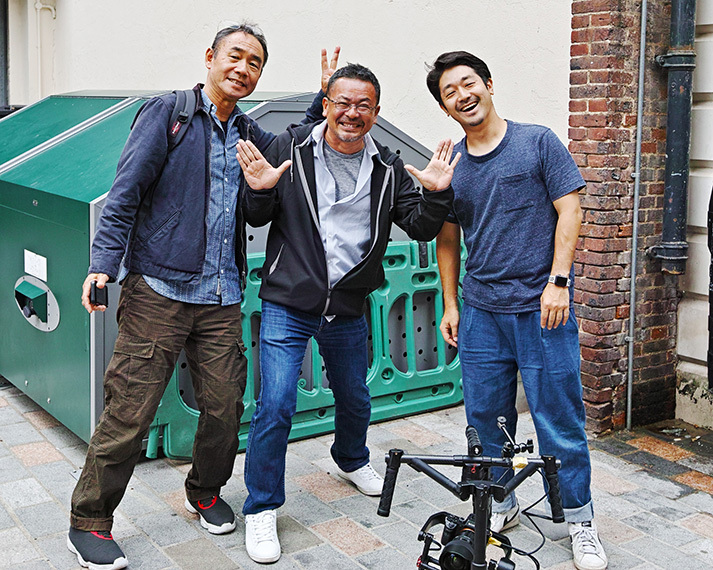 SIGMA are leading the way with the quality of their lenses, not only image quality, the build quality and fluidity of use, they are a pleasure to handle. The end result for me is the printed image, I use ART lenses for all of my work and the prints are outstanding. I wouldn’t hesitate to recommend this lens to professional users for a wide range of subjects.